The location of the property is critical; it assists with the determination of the achieved sale price and marketing period required to achieve a transaction. Over the past several years the locations achieving the most sale transactions have been consistent with St. George achieving the highest, and St. David and St. Andrew interchanging between second and third place. 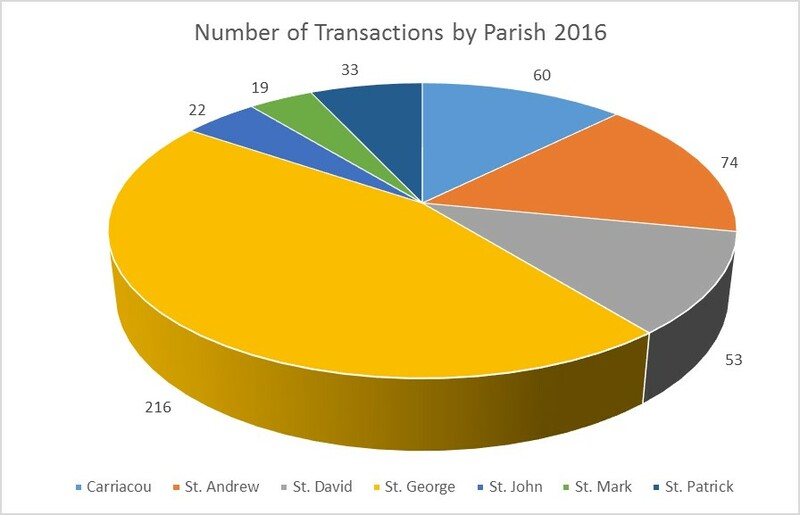 It is interesting to note that sales on the sister island of Carriacou are in line with the two parishes of St. Patrick and St. John combined.